For the last 3 years the council, peers and mentors of the Mozilla Reps program have been meeting annually at ReMo Camp, a 3-day meetup to check the temperature of the program and plan for the next 12 months. This year’s Camp was particularly special because for the first time, Mitchell Baker, Mark Surman and Mary Ellen Muckerman participated in it. With such a great mix of leadership both at the program level and at the organization, it was clear this ReMo Camp would be our most interesting and productive one. The Council and Peers got together to add the finishing touches and tweaks to the program content and schedule but also to discuss the program’s governance structure. Council and Peers defined the different roles in the program that allow the Reps to keep each leadership body accountable and made sure there was general alignment. We will post a separate blog post on governance explaining the exact functions of the module owner, the peers, the council, mentors and Reps. Accountability: how to we keep Reps accountable for what the have signed up for? Impact measurement: how do we measure the impact of all the wonderful things we do? Recognition: how do we recognize in a more systematic and fair way our volunteers who are going out of their way? After the impact discussion, we changed gears and moved to the Mentorship training. During the preparations leading to ReMo Camp most of the mentors asked for training. Our mentors are really committed to helping Reps on the ground to do a great job, so the council and the peers facilitated a mentorship training divided in 5 different stations. We got a lot of great feedback and we’ll be producing videos with the materials of the training so that any mentor (or interested Rep) has access to this content. We will be also rolling out Q&A sessions for each mentorship station. Stay tuned if you want to learn more about mentorship and the Reps program in general. The third part of Day 3 was “getting stuff done” a session where we identified 10 concrete tasks (most of them pending from the last ReMo Camp) that we could actually get done by the end of the day. The overall take-away from this Camp was that instead of designing grand ambitious plans we need to be more agile and sometimes be more realistic with what work we can get accomplished. Ultimately, it will help us get more stuff done more quickly. That spirit of urgency and agility permeated the entire weekend, and we hope to be able to transmit this feeling to each and every Rep. There wasn’t enough time, but we spent it in the best possible way. Having the Mozilla leadership with us was incredibly empowering and inspiring. The Reps have organized themselves and created this powerful platform. Now it’s time to focus our efforts. 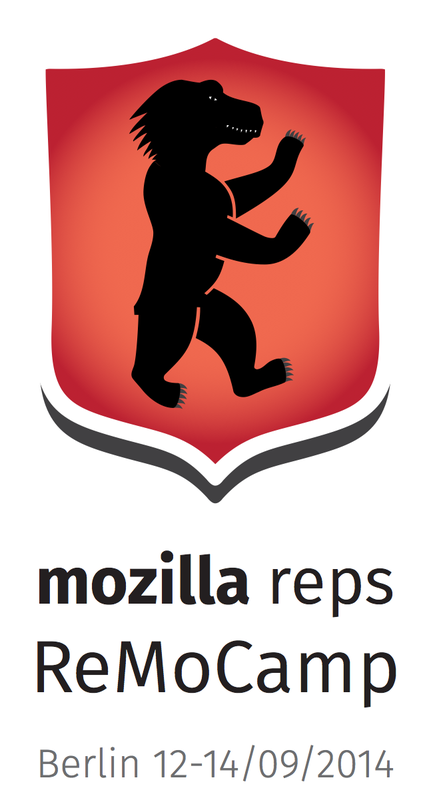 The weekend in Berlin proved that the Reps are a cohesive group of volunteer leaders with a lot of experience and the eyes and ears of Mozilla in every corner of the world. Now let’s get together and committing to doing everything we set ourselves to do before ReMo Camp 2015.